That's Rosemary and Basil to get herb part of the setup , few other seeds will be sow and hopefully by the time this setup stabilized I can start transplanting them. 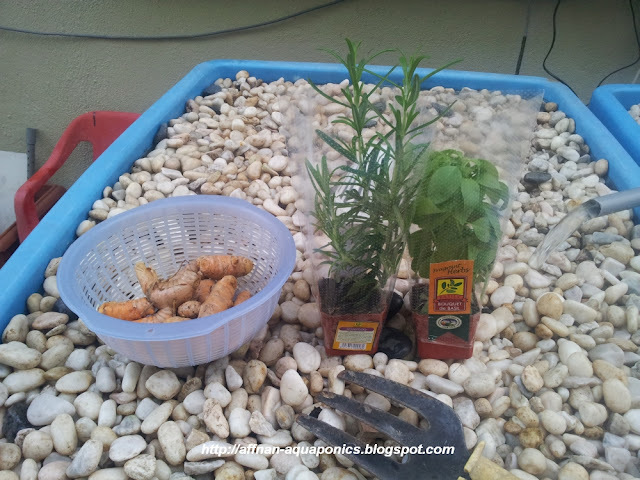 Turmeric rhizome in that basket and will plant it in the other growbed, these takes a long time to grow. 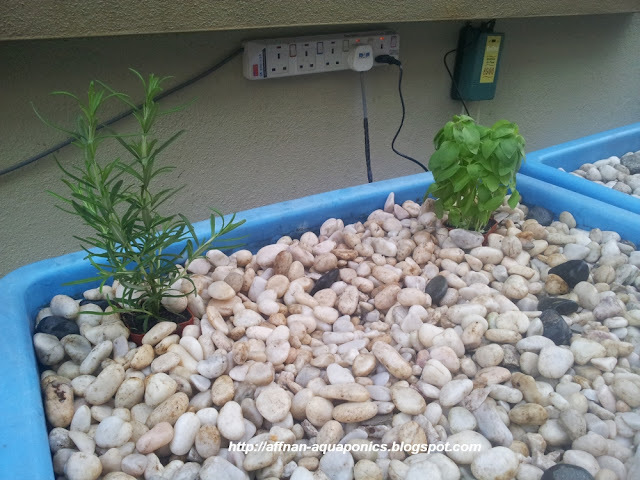 Planted the herb with its sowing cup, this growbed not ready they won't survive if I just directly planted them in the rocky media. Let it take root and get use to the place, once okay I'll remove the sowing cup. First time I'm doing Rosemary, Basil is not much of a problem. Over the next few week, slowly plants will be added to my setup and lets do it carefully and I'll document it here. 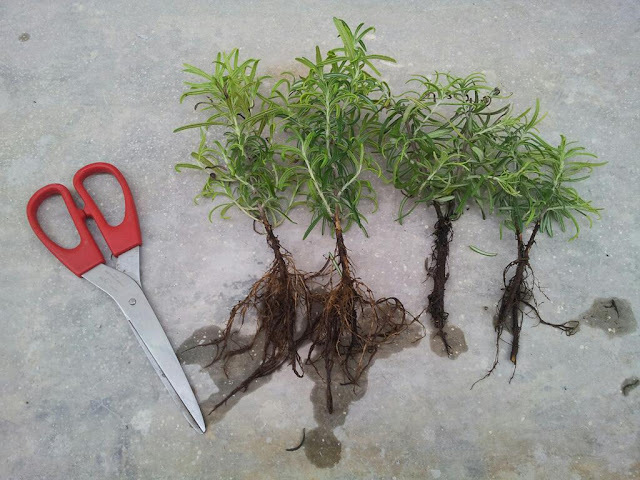 Below are the Rosemary from cuttings directly into growbed. 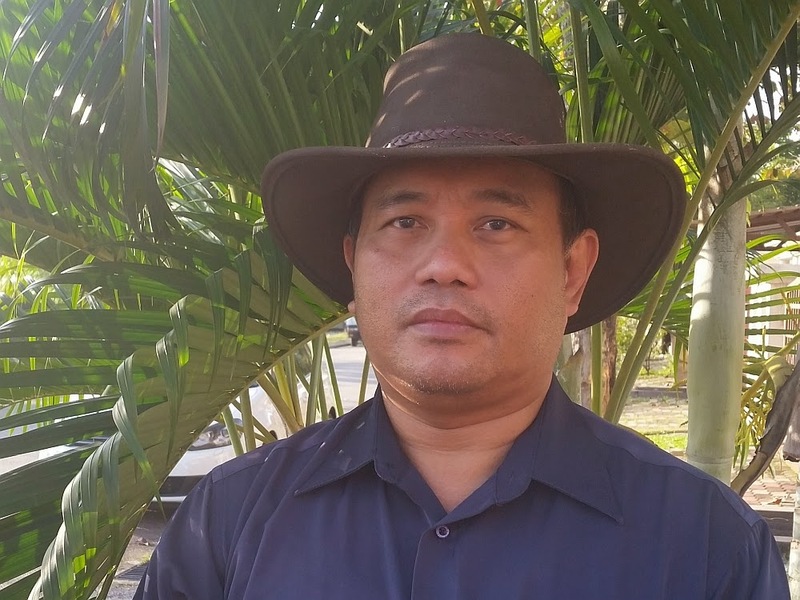 Mr. Adnan, by planting the 2 herbs direct into the grow bed.would it make your fish tank dirty from the soil being wash away when the siphon starts? No problem, that pot is much bigger, the setup is new, if I plant directly that Rosemary surely die. RM 70 and RM 50 for the Tank is about right.